Close up: Night Blooming Hosta	First bud on Moonflower! 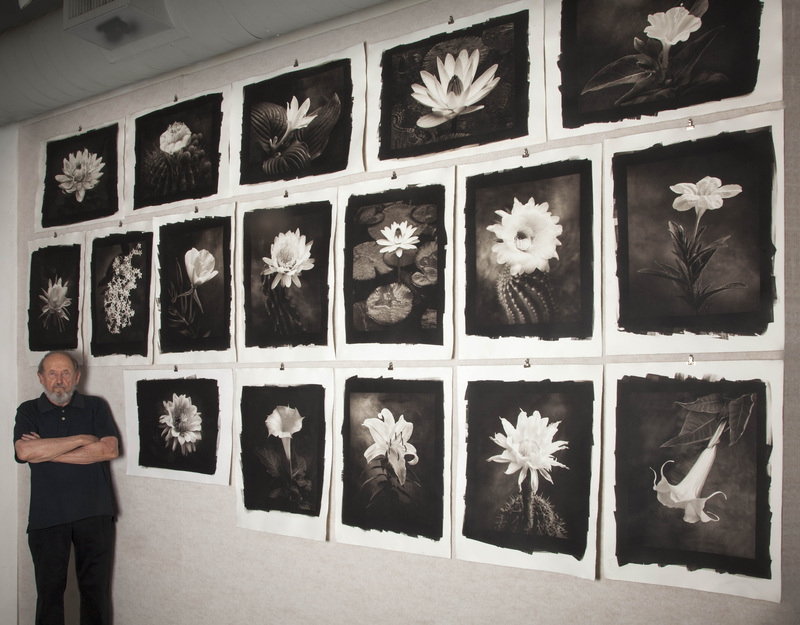 The Midnight Garden, a collection of flowers that bloom after the sun goes down, will have their first show at the Verve Gallery in Santa Fe opening in May and continuing through the first two weeks of June 2014. Many of these flowers bloom after dark as they seek to attract a certain moth or other pollinator. Others blossom at night to avoid the blazing hot sun of the desert. 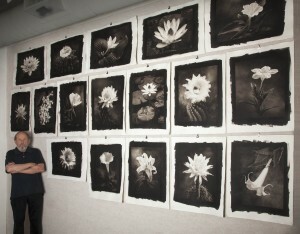 These large and dramatic photos are printed in the historic archival platinum process that captures the delicate beauty of the flowers and the rich dark shadows of the night.